As we recently celebrated the birthday of Nelson Rolihlahla Mandela, the apartheid activist and the first black president of South Africa, it is important that we take stock of his legacy in its entirety. Meaning, that in as much as we are inspired by this great man, we must also take the time to learn from the mistakes he made during the course of his leadership. This is imperative, because it is only by learning from those who preceded us that we can avoid the same mistakes and create a better tomorrow. Mandela’s inability to effectively address the issue of HIV and AIDS was one of his greatest failures during his five-year presidency between 1994 and 1999. After a 27-year sentence in prison, when Mandela was released in 1990, HIV infection amongst adult South Africans was at a rate of less than one percent. Four years later, when he was elected as president, HIV was on its way to becoming a widespread epidemic within the country, with infection rates doubling every year. In 1998, it was estimated that HIV infection amongst adult South Africans was at 13 percent, with 2.9 million people having HIV and AIDS within the country. 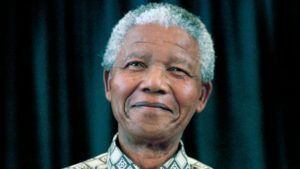 Though in 1992, prior to his presidency, Mandela had given a speech recognising that AIDS was a growing problem worldwide, it was not followed by adequate action. There is often the misconception that we are to learn only from the successes and accomplishments of great people, when the most valuable lessons usually lie in how they recognised and dealt with the mistakes they made. Some may think this applies only to the context of South Africa, but the issue of HIV and AIDS is a problem that is being faced in a great many countries, India included. Therefore, let us learn from Mandela and never again be silent, nor ignore the deaths that continue to occur at the hands of HIV and AIDS. As we celebrate Mandela, let us remember that it is our obligation to continue this fight not only on the public health front but also on the political front. Let us take heed, for the future lies in our hands. Boseley, S. (2013). How Nelson Mandela changed the AIDS agenda in South Africa. [online] the Guardian. Available at: https://www.theguardian.com/world/2013/dec/06/nelson-mandela-aids-south-africa [Accessed 15 Jul. 2018]. BBC (2013). Nelson Mandela: AIDS campaigner. [online] BBC News. Available at: https://www.bbc.com/news/world-africa-10529266 [Accessed 15 Jul. 2018]. SAhistory (1992). Speech by Nelson Mandela to the National Conference on AIDS NASREC, 23rd October 1992. [online] South African History Online. Available at: http://www.sahistory.org.za/archive/speech-nelson-mandela-national-conference-aids-Â%C2%A0nasrec-23rd-october-1992 [Accessed 15 Jul. 2018]. Nolen, S. (2013). Mandela arrived late to the fight against HIV-AIDS. [online] The Globe and Mail. Available at: https://www.theglobeandmail.com/news/world/nelson-mandela/mandela-arrived-late-to-the-fight-against-hiv-aids/article548193/ [Accessed 16 Jul. 2018]. Swarns, R. (2000). Focus on AIDS Epidemic, Mandela Says. [online] Nytimes.com. Available at: https:// www.nytimes.com/2000/07/15/world/focus-on-aids-epidemic-mandela-says.html [Accessed 14 Jul. 2018]. Caplan, A. (2013). Bioethicist: Mandela’s AIDS legacy of silence and courage. [online] NBC News. Available at: https://www.nbcnews.com/healthmain/bioethicist-mandelas-aids-legacy-silence-courage-2D11702797 [Accessed 17 Jul. 2018].